It seems as though when you start a new hobby, it’s easy to stumble upon never before realised controversies that were lurking all along, under the surface of everyday life, completely unobserved by everyone else. For fans of foreign TV programmes or movies, there’s the dub versus sub debate. For bento box lunch enthusiasts, there’s some snideyness amongst people who only use ‘proper’ Japanese boxes, versus those who use western lunchware like Tupperware or Laptop Lunches. With vintage dressing, I know there’s some debate about repro clothing versus authentic, really from the era vintage clothing. To be honest, a lot of these are more to do with perceived elitism and snobbery than anything else, which I guess you get in the cycling world too. I was expecting a similar debate around lycra/safety clothing versus streetwear to crop up quite early on in my enthusiastic web surfing, but I must be dodging those sites completely. The one thing that keeps jumping out is helmets versus no helmets, and I’ll explain why that’s a bit of a shock for me. As a child, the school laid on cycling proficiency lessons for us, which mostly seemed to involve dodging between traffic cones and being able to hold your hand out to signal right and left. The one thing that was totally gospel was helmet-wearing, and I guess, due to a lack of real cycling between then and now, as an adult, the idea that helmets were an essential part of cycling has always stayed with me. I see a lot of cyclists on the roads now, especially as I’m looking out for them, and I rarely see anyone without a helmet. Those that do are generally quite obviously making smaller, neighbourhood journeys. In order to get to the next shopping area from me, you have to travel down and up a rather large hill, and all the cyclists I’ve seen tackling this are wearing helmets. 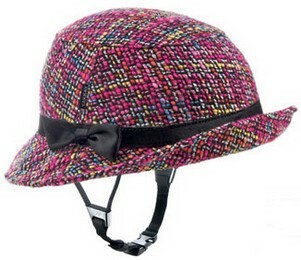 For me, personally, as a new cyclist, I feel compelled to buy and wear a helmet. I don’t feel confident enough in my ability to cycle, in the roads, or in the traffic flow, to go without one. That could change,but in the meantime, I’ve been researching the most stylish options available for cyclists, and I’ve found some pretty neat ones! Perhaps the most traditional looking helmet on my lust-list is the Nutcase, a cool-looking solid type of helmet from the US which resembles a BMX biker or skateboarders helmet. Love the cool Union Jack design – and although it doesn’t have as much ventilation as the average aerodynamic helmet does, it still has some airholes there to keep your head cool. Priced around £45. I also really like Sawako Furuno helmets, which you can buy at cyclechic.co.uk. They’re quite pricey (from £60 up to £73) and I haven’t seen one that I’ve fallen in love with – yet. The colours are very pastel, so if that’s your style, you’ll love these! They’re very subtle and girly. 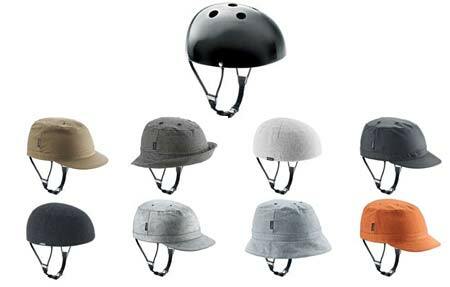 My favourite find so far has to be the cool Yakkay helmets, which come with interchangeable soft covers! I’ve heard they can make your head sweaty, but it seems like a small price to pay for such stylish and protective headwear! They come in three different sizes, so I’d have to purchase them in person to be sure I was getting the right size for me. They’re a bit pricey to buy sight-unseen, and I’m sure they’re not really waterproof either. But, they look great! They range from about £30 for a cover to £104 for a cover and helmet, depending on the style. By far the most intriguing of my finds is the Ribcap. 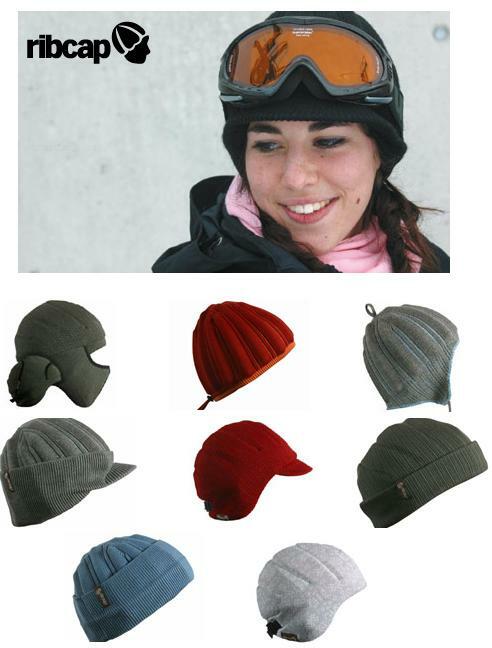 Made from an amazing material which hardens when struck with a hefty force, the Ribcap looks like a soft beanie type wooly hat, but the manufacturers claim prevents head trauma. Sounds good to me! They look a little hefty for the summer, but I can imagine them being really good for the winter. The Jackson may not look much on the mannequin, but it looks great on the model! Again, they’re quite pricey (£50-60), but they do look good, and seem like a less restrictive choice if you don’t like the feeling of a traditional helmet. If you’d like to see the Ribcap being put through its paces, and want to find out more about what it’s made of, check out the Youtube video below of the Gadget Show. If you’d like to see some more amazing helmets, I found this excellent site which has some really cool examples: Helmets Rock Hard.